The now opened „Support Office“ consists of permanent staff with management functions and police or gendarmerie officers from the member states will also be seconded to The Hague. The cooperation is to be evaluated by June 2020. ATLAS police or gendarmerie officers from member states will be sent to Europol. In the ATLAS network, 38 special forces from 28 EU member states as well as from Norway, Switzerland and Iceland coordinate themselves. Countries such as France, Spain and the Netherlands also send gendarmes. These are units which, after basic military training, assume tasks in the field of internal security. From Germany the federal GSG 9 and the police from Baden-Württemberg participate in the ATLAS network, from Austria the Cobra. Founded after the attacks of 11 September 2001, the network has been part of the structures of the European Union since 2008. Officially attached to the Commission, it is managed as one of the 18 „expert groups“ of the Council Law Enforcement Working Group. The EU wants to use it to prepare itself for major police situations that require the support of other member states. The basis for such missions would include the so-called solidarity clause, which is enshrined in Article 222 of the Lisbon Treaty. In the event of a terrorist attack, disaster or undefined crisis, governments may receive any assistance they can from the institutions of the European Union and the Member States. These procedures for mutual requests for assistance will now be simplified. The finances of the ATLAS network have been greatly increased in recent years. The beneficiary was often GSG 9, which last received around one million euros from the EU Commission in 2015. Other beneficiaries included the Cobra and special units from countries such as Estonia, Poland and Sweden. GSG 9 does not only cooperate with Cobra in the ATLAS network. Together they form the so-called Southern Rail Network. Before summit meetings or other major events, both countries send their special units to each other. At the G20 summit in Hamburg, the local operations command had deployed the Austrian troops during riots in the Schanzenviertel neighbourhood. In 2017, Austria took over the chairmanship of the ATLAS network for four years. The head of the Austrian Cobra, Bernhard Treibenreif, heads the so-called „ATLAS Commanders Forum“. His decisions included closer cooperation with Europol. 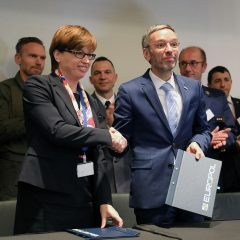 Catherine de Bolle signs ATLAS agreement with Austrian MOI Herbert Kickl. The common directives also regulate the objectives and forms of cooperation of Europol and ATLAS. The special troops will be deployed mainly in the field of terrorism. In regular exercises the units train the common approach to attacks and hostage-taking by larger groups of people. A Europol statement states that special units should respond to attacks inspired by „religious, left- and right-wing ideologies“. The transport of weapons, ammunition and hazardous substances also needs to be regulated when the ATLAS network meets for exercises. Before entering the country, the foreign units must report the import, from where the competent customs authorities are then informed. This process is to be simplified. There are also plans to switch to the secure SIENA network at Europol, through which messages classified as secret can be sent. However, not all ATLAS special intervention units are members of the European Union and therefore participate in Europol. This could mean, among other things, that they are excluded from joint communication via Europol. In addition to special units, the European Union also intends to improve cooperation between gendarmerie and police units. 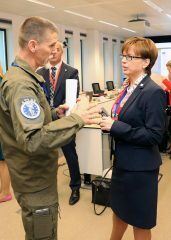 In recent years, the EU Commission has organised several joint training sessions, each attended by around a dozen authorities from different countries. In September, the French gendarmerie and the Spanish Guardia Civil published a concept for further European exercises. It is entitled „Integrated Training“ and is intended to set common standards. Possible training measures could be held via the European Police College CEPOL in Bulgaria. The former Austrian Council Presidency intended to include the proposal in the „Vienna Process“, which Interior Minister Kickl launched more then a year ago. In Kickl’s words, Austria wants to support a „citizen-oriented, crisis-proof, sustainable EU security union“. 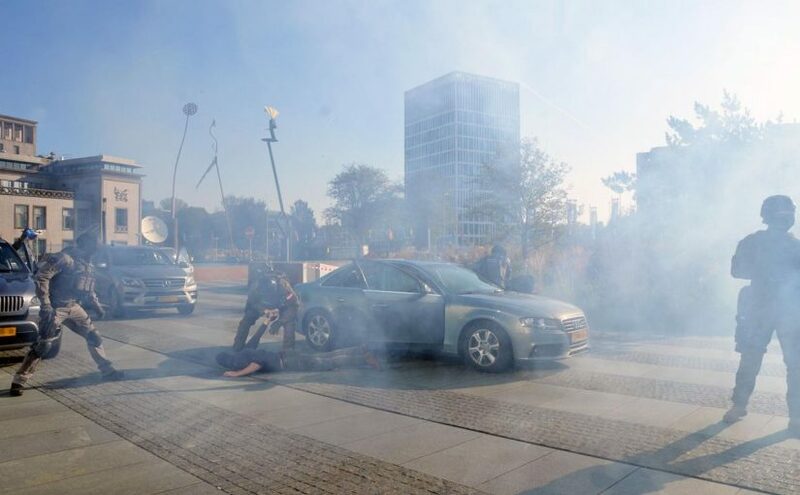 Image: „ATLAS exercise/demonstration“ (Europol press release).